The Democratic National Committee has reached 30 million voters and acquired 94 million cell phone numbers of registered voters ahead of the 2018 midterm elections, according to an internal document. Why it matters: There are only 100 days until the election. 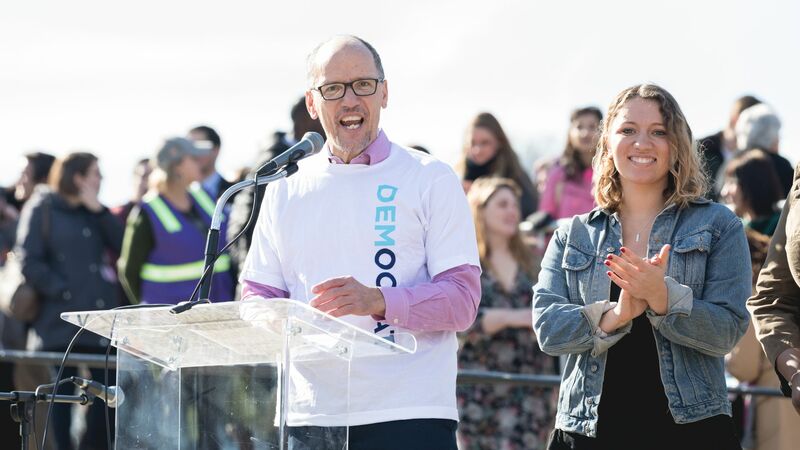 Reaching voters where they are —on cell phones, not landlines — and connecting with new voters will be crucial to Democrats' efforts in November and looking ahead to the 2020 presidential election. The big picture: The group's memo details what they've been doing up to the 100 days before the election, and how they can leverage these tools and data through the next couple election cycles. Be smart: Democrats can only win so many seats by targeting voters who will already support them. That's why the DNC and BlueLabs, an analytics and technology firm, have created a database of 25 million likely Democratic voters who are not yet registered to vote. Go deeper: Read the DNC memo.